Hey guys, has anyone used this incubator before? even if you haven't, Thoughts? Concerns? 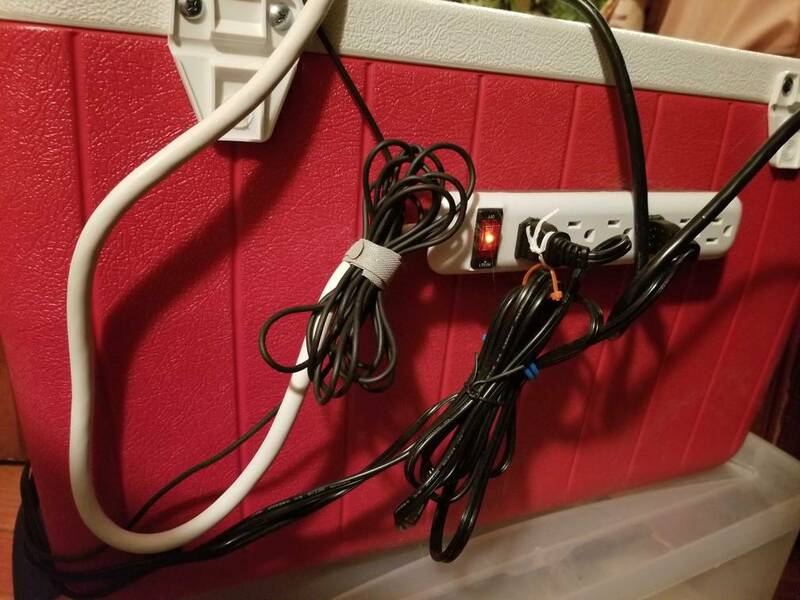 Too expensive, too small, to unreliable you are better off getting your own styrofoam cooler big enough to put an egg box in it, put a piece of heat tape and the most important part use a RELIABLE thermostat. Doing so will be cheaper and better suited we have DIY on our forum. I have that same one. I have heard mostly bad on them.but I have not had any problems. Will only hold about 2 ball python egg clutches tho. I have a clutch in it now on day 37! All still doing great. I have also used it for gecko eggs and they hatched out nice and healthy too. 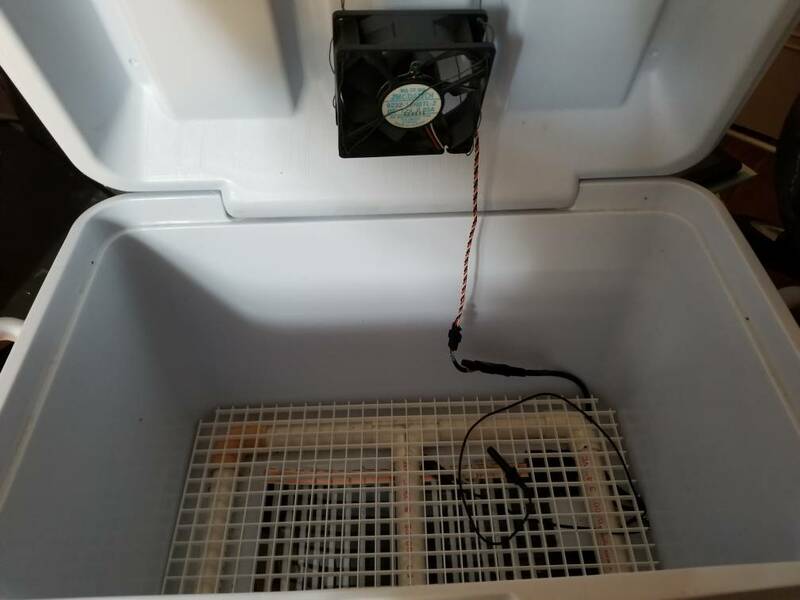 I used someone else's idea of using a food cooler. I didn't want to make it permanent in case someday I needed a bigger incubator so I used baking racks to keep my egg tub off the uth. 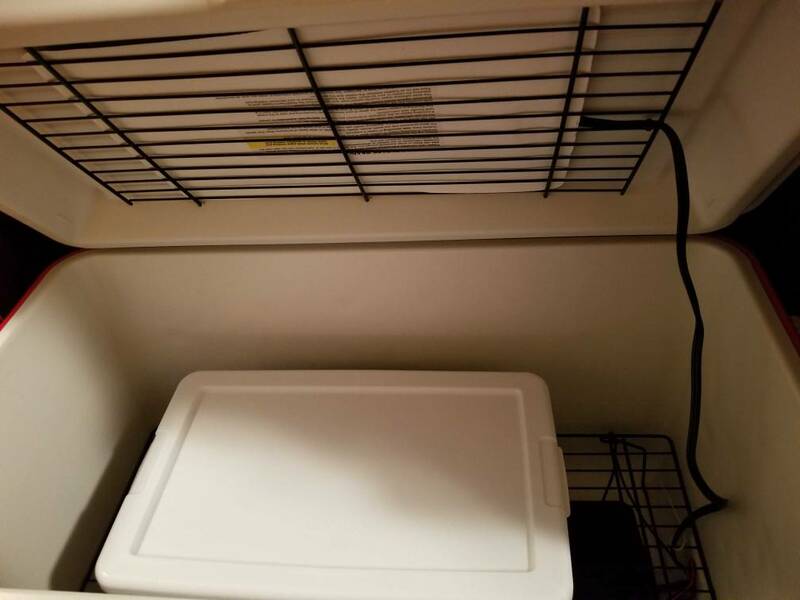 I drilled holes and used existing holes to keep stuff in place and let wires out. It functions well for me as is. 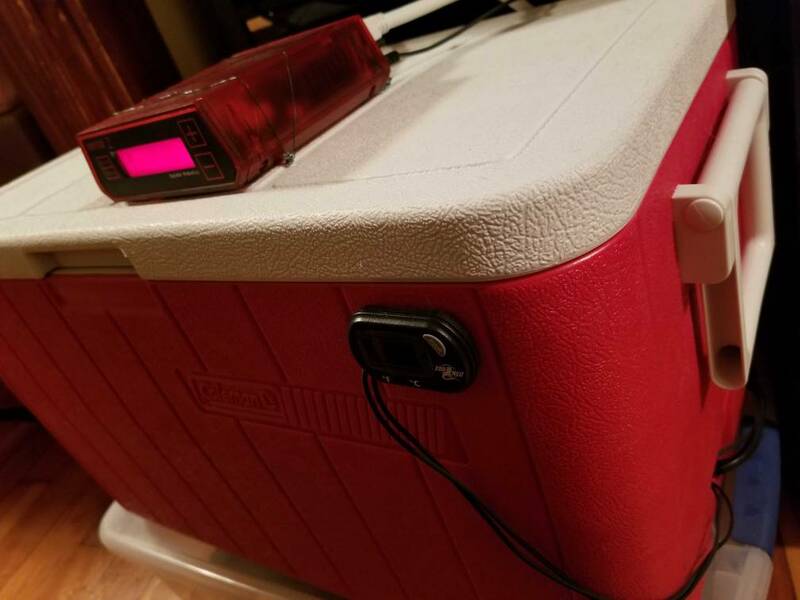 I used a Coleman cooler incubator with a VE 200 thermostat successfully for 3 clutches. These were 6-8 egg clutches in a 6 qt tub and I had zero issues with them. All the eggs hatched perfectly. I ran into trouble with my 4th clutch, which was 10 eggs. I used a Zilla dial thermostat instead of the VE. Not sure if there were too many eggs in the tub or the Zilla was just not as precise enough, but I lost 9 of 10 eggs.